2 kpl Cerwin-Vega! XLS-215 lattiakaiuttimia sekä CVX-21S subwoofer pakettitarjous. Tuotteen hinta on pakettihinta. Hinta sisältää 2 kpl Cerwin-Vega! XLS-215 kaiutinta sekä 1 kpl Cerwin-Vega! CVX-21S subwooferia. Tuotteiden toimitusaika on tällä hetkellä noin 3-4 viikkoa. * Säästö 500 € erikseen ostamiseen verrattuna. Myös rahtikulut on laskettu edullisemmaksi tämän paketin ostajille. Tästä mahtava paketti kotiteatteriin tai erittäin järeä paketti musiikin kuunteluun tarvittaessa todella suurella voimakkuudella. * Tämä tarjous on voimassa vain rajoitetun ajan! 49.7" x 17" x 21.1"
Cerwin-Vega! CVX-21S aktiivinen subwoofer ammattikäyttöön. Kaiuttimessa on 21" bassoelementti ja jopa 2000W tehon antava D-luokan vahvistin sisäänrakennettuna. Kotikäytössä täytyy käyttää RCA -> XLR sovitusjohtoa. Kaiuttimessa on XLR-sisääntulo. The Cerwin Vega CVX-21s powered subwoofer features 2000 watts of Class D power with 2 combo XLR/TRS inputs and 3 XLR Outputs. The angle-fired 21-inch woofer, with LF extension to 29Hz, reduces port turbulence without sacrificing performance. When multiple subwoofers are being used close together and rear sound rejection is needed, the new cardioid mode can increase the forward volume together 6 dB while reducing rear volume by 12 db. 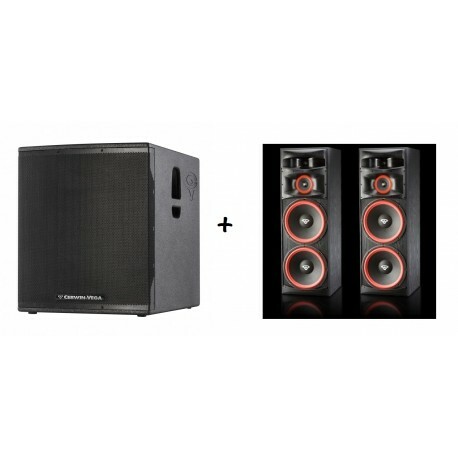 Covered in Cerwin-Vega's durable TourShield finish, the CVX-21s subwoofer is perfect for touring, ballrooms, medium to larger clubs, outdoor venues, houses of worship, rentals and staging applications. The CVX-21s—fueled by Cerwin Vega’s 65 years of professional live sound solutions—delivers power to spare, with accurate, sonic precision. 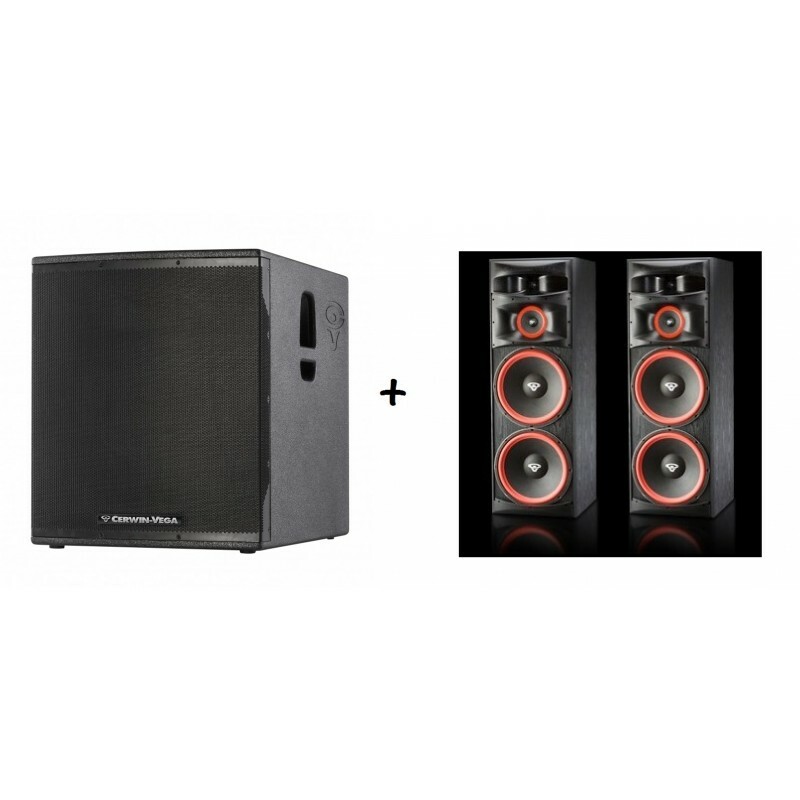 Covered in Cerwin-Vega’s durable TourShield finish, the CVX-21s subwoofer is perfect for touring, ballrooms, medium to larger clubs, outdoor venues, houses of worship, rentals and staging applications. The CVX-21s—fueled by Cerwin Vega’s 65 years of professional live sound solutions—delivers power to spare, with accurate, sonic precision.